And speaking of Sean and Melissa Reid (Sean writes the pay camera-review site Reid Reviews, if you're coming late to the conversation), if I ever get married, that's who I'd hire. 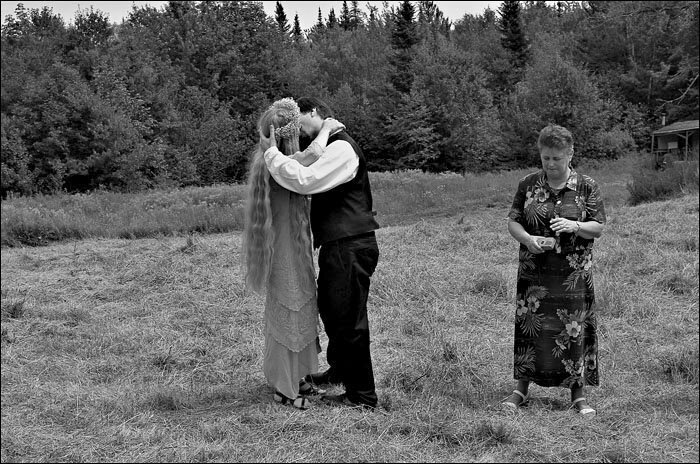 I like the "wedding photojournalism" style. 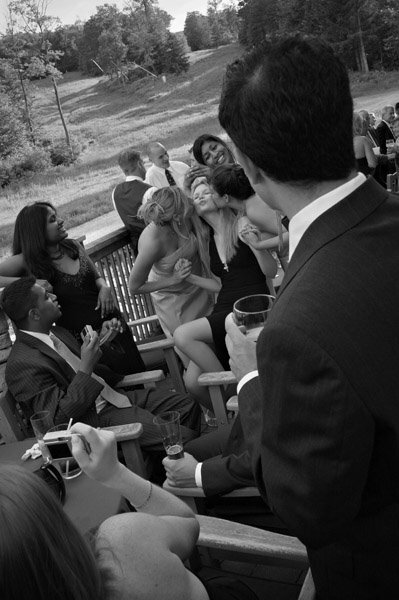 Wedding photographers in general are the Rodney Dangerfields of photography (the late R.D. was a comedian whose tagline was "I don't get no respect," if you're coming late to that conversation). Wedding photography is actually quite difficult, presenting the photographer with a wide variety of challenges and only one chance to get it right. One of the side effects of a career spent dispensing advice is that people often come to me for advice. (Oh well.) So every now and then someone says, can you recommend a good wedding photographer? There have been a few I've recommended over the years, including the late Susan Kennedy, in the Washington, D.C. area, who had a knack for putting brides at ease and adding a nice presence to the ceremony. But most of the time, regardless of who I recommend, and regardless of price they charge, the follow-up is the same: can't you recommend somebody cheaper? Well, heck. And then a third of the couples in America complain about their wedding photography. (One day I'm going to write a book called "Two Plus Two," about the many ways in which people overlook obvious explanations for things that are right in front of their noses—for instance, in the 1980s there were thousands of spooky, unexplained Elvis sightings. There were also 200 full- or part-time Elvis impersonators in America! Put two and two together, people....) So do you want cheap or do you want good? The two can be different things. My advice if you want to hire a wedding photographer? Find one you really like and buy 'em a plane ticket. What's the added expense in the overall scheme of paying for a wedding? You don't get married every day. Two plus two does not equal one. There are hundreds if not thousands of gifted photographers who work on commission. 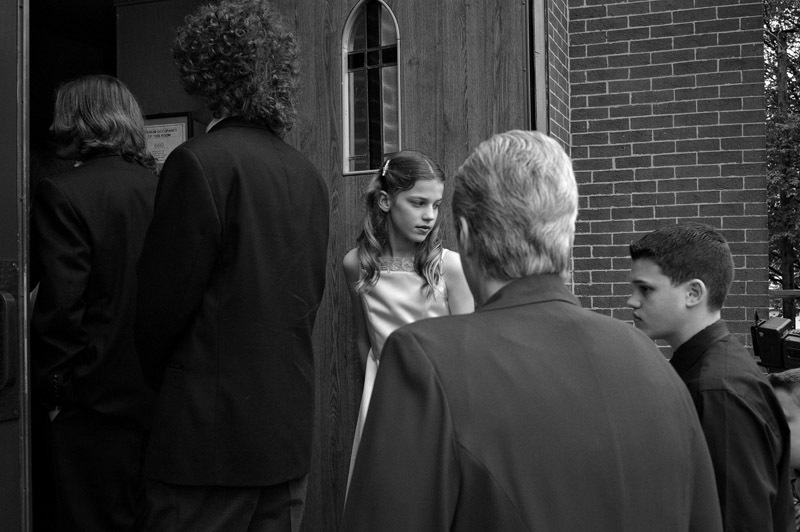 In terms of sheer intensity, wedding photography is the hardest work I've ever done -- which is why I like it. Well, I wouldn't say they look too dark but they do look a liitle dark from where I sit. Can't say the slideshow appealed - the photos didn't seem very well chosen and cropping was sloppy, processing uneven. style, I think. I'm hoping to get some nice shots of her tattoos, too. But if I was a bit closer to Vermont and getting married, I would, going by what I see on Sean's site, GLADLY pay for his plane ticket. I too did a few (free for friends) weddings with an Epson R-D1 and looked at Sean's site for inspiration and idea's for those occasions... Thanks Sean! With the amount of money most people are spending on weddings these days, I would think the cost of a photographer would be a drop in the bucket. If you were going to fly a photographer in for a wedding Mel DiGiacomo of North Jersey. 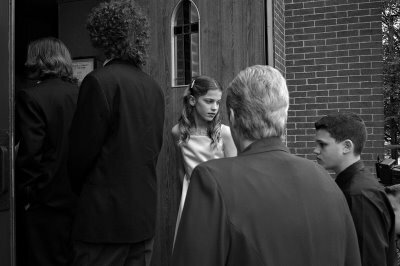 He's the Lee Friedlander/Robert Frank of wedding photography - his style is not for everyonebut it is incredibly "real". Mike I think some of your newer readers would appreciate a reminder about your SMP column The $39k Schmuck which provides a really good defense for the fees wedding photographers charge. It is easy enough to get a few good wedding snapshots even with a basic digicam but most people don't realize how difficult it is do photograph weddings and deliver professional prints and albums. I, for one, am not cut out for it. Nick and John. Thanks very much for your comments on our work.